For the first three days of the Symposium, the weather was almost Florida-like, with sunshine and temperatures approaching 70°F. However, on day four, winter arrived with a few inches of ice pellets and snow. Luckily, the ice and snow didn’t cause any major scheduling or travel difficulties. And it certainly provided a beautiful “backdrop” for the closing day of the conference. On the “military front,” there many interesting items on the agenda, including presentations by Deborah Lee James – Secretary of the Air Force, and Lt. Gen. Michael D. Dubie – Deputy Commander of U.S. Northern Command / Vice Commander of the U.S. Element of the North American Aerospace Defense Command. There were also panel discussions on International Military Space and Acquisition and Affordability. 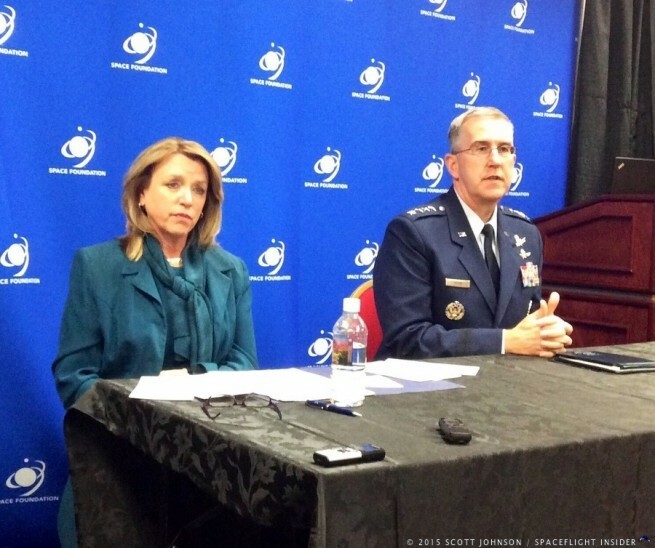 However, perhaps the event most relevant to SpaceFlight Insider readers was a media question and answer session with Secretary James, and U.S. Air Force General / U.S. Air Force Space Commander, John E. Hyten. As mentioned above, the Secretary spoke earlier in the day and touched on the Air Force’s “ongoing effort to work collaboratively with SpaceX to get their Falcon 9 launch vehicle certified to carry our national security satellites.” She briefly discussed the recently released “General Welch Report ” – a report prepared by former Air Force Chief of Staff, and retired General, Larry D. Welch – which is highly critical of the Air Force’s certification process. 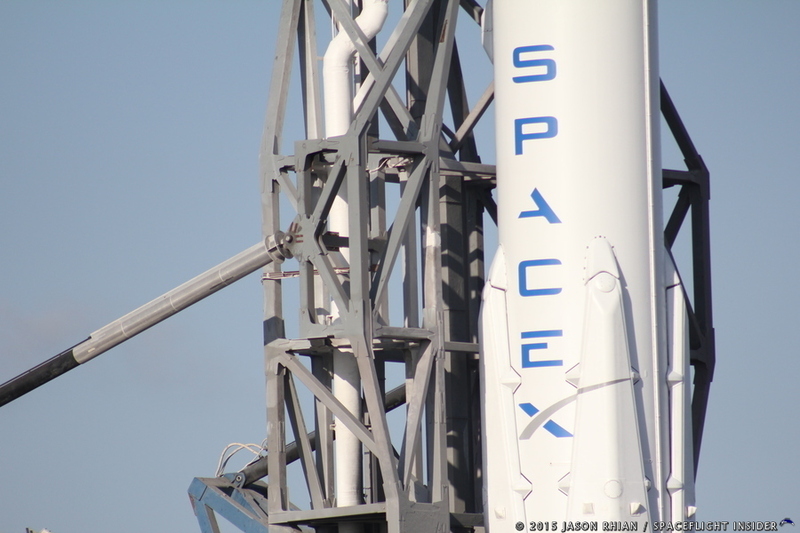 During the question / answer session, SpaceFlight Insider had the opportunity to follow up with the Secretary and request that she further elaborate on the status of the SpaceX certification –specifically, she was asked whether the old certification procedure is still being used on the pending SpaceX certification, and if / when a new certification procedure will be put in place. “There were findings that came out of the Phase I aspect where we are, I say we, it’s not me personally, but SpaceX and General Greaves and his team, so he’s the certifying authority. They are going to be updating and amending that CRDA [cooperative research and development agreement], which is the governing document of exactly what has to happen in order to reach certification. “So, just going back a little bit in time, even at the end of the year, the estimate was that 80 percent of everything that needed to get done, was in fact done, but there was still 20 percent left to go. And I was very interested in knowing exactly what are those 20 percent – what are those items and how do we get this matter across the finish line? “So, the independent review helped sharpen that as well as talked about these cultural differences and the miscommunications that I highlighted in my speech. “And so, bottom line is, it will certainly be by June that the certification will occur, and, of course, this is what General Greaves has indicated. “I expressed the hope, maybe we could do a little bit better than that, but I’m certainly not going to predict that. It would be great if it could be a little bit better, but it looks like it’s going to happen by June. 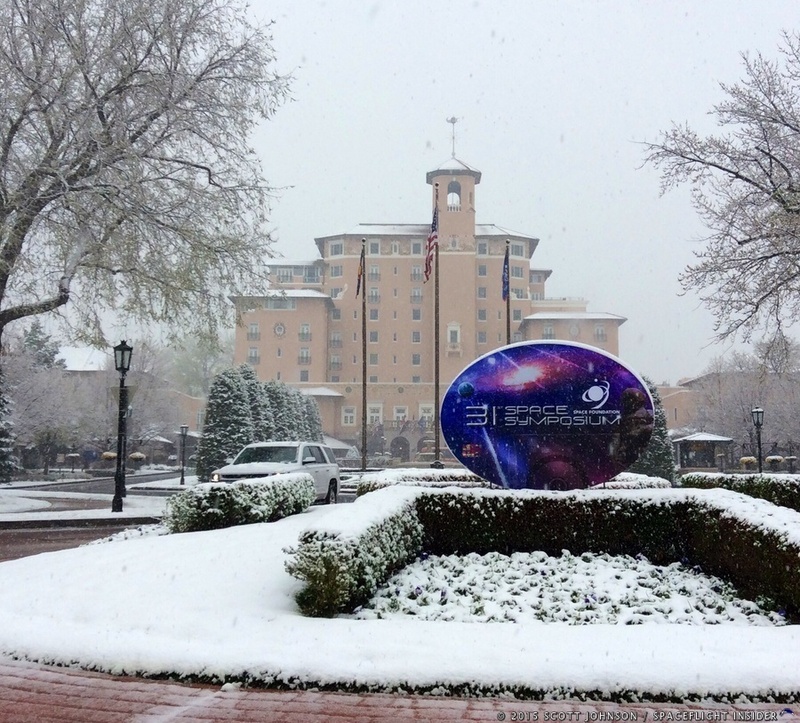 Thanks for tuning in to SpaceFlight Insider for coverage of the 31st Annual Space Symposium. We’ve posted a photo album on our Facebook page with over thirty photos from the week. 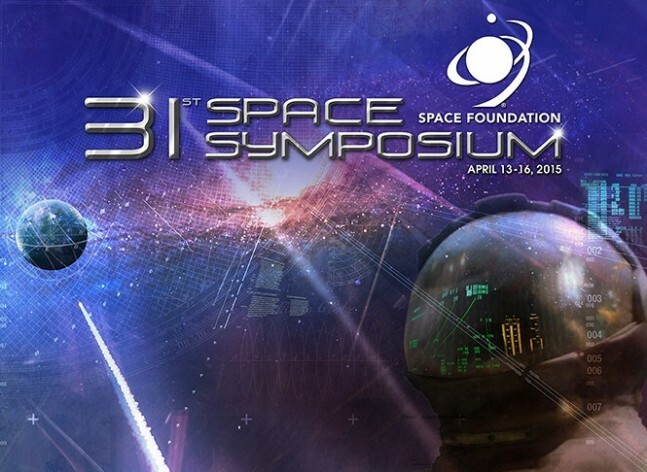 Also, go ahead and mark your calendars for next year’s Symposium, which is scheduled for April 11-14, 2016.